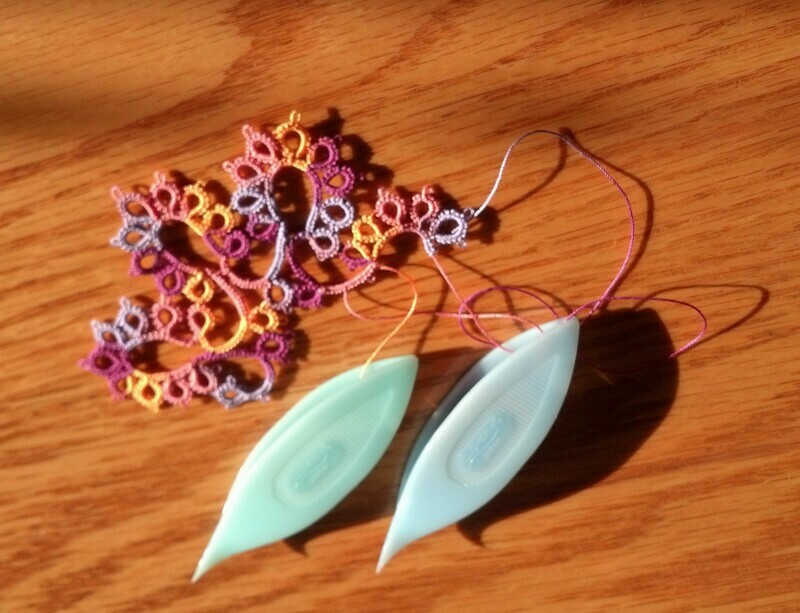 Just got back from a great time at the annual Fingerlakes Tatting Conference. It was great to see friends, meet new people and catch up on tatting geekery! While there I picked up a set of the new larger size Clover shuttles .....and I love them! Much nicer feel and grip than any other of those larger sized shuttles I've tried, so if you're a Clover junkie, you'll love these shuttles.